An efficient way to retain the glory of much-celebrated device is to retain its old name. Like in the case of the good old Google 7-incher, a new generation of the slate is now up and still uses the same Nexus 7 moniker. 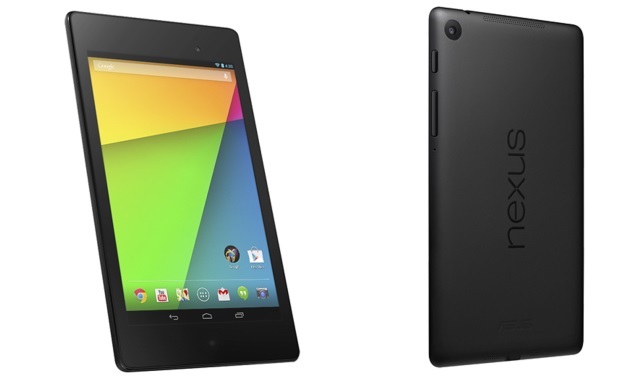 The 2013 Nexus 7 is still the 7-incher to beat with its modest price and stunning specs. Check out what you need to know after the jump. This Google kid is packed with a stunning 1920 x 1200p display. With that kind of display in a 7-incher, we could tell that it is really an upgrade from last years device. We expect that the new device will have its own crisp in colors and wide viewing angles. It's 323 ppi pixel density is, by far, on Retina level. A powerful quad-core Qualcomm Snapdragon S4 Pro will be powering this newbie. It's now faster with a clock speed of 1.5GHz. One interesting stuff to consider, the new Nexus 7 carries a whooping 2 gigs of RAM. Some of you might think that that last year's Nexus 7 might be a bit bulky. But this year, Google shed some considerable dimensions and weight: it's now 50 grams lighter, 2mm thinner in depth and 2.75-mm thinner in bezel. The new Nexus 7 comes with a stereo speakers - Google may have been distrated by the sound of the last year's model. It will also be loaded with radios like WiFi (802.11 a/b/g/n), Bluetooth 4.0, HDMI output and will have an LTE radio (US only). NFC is there and a 5MP rear shooter will complete the last year's shortcomings. A 1.3 MP front camera will also be completing the front panel so active instagrammers will enjoy this slate. Finally, Android 4.3 is here! It's still Jelly Bean though. It packs in Bluetooth Smart, Multi-user restrictions and OpenGL ES Support as added features on the previous update. To your delight, it'll be supported with a wireless charging technology by Qi and Google promises customers to have 9 hours of HD video playback and 10 hours of web browsing in a single charge. 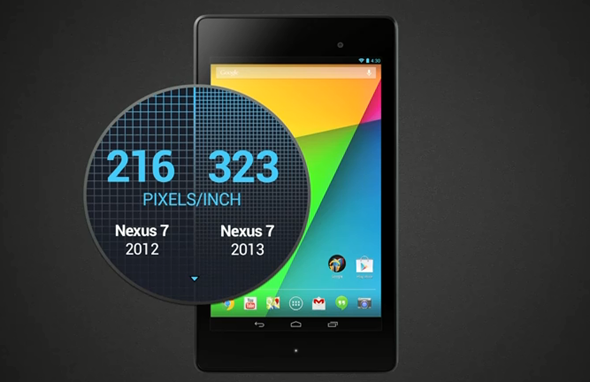 By far, the new Nexus 7 is priced at USD 229 for 16GB variant and USD 269 for 32GB configuration. Of course, it'll hit the Google PlayStore first. The LTE enabled variant will be priced USD 349. No official announcement of global roll out yet, but I'm pretty sure it'll be available in the Philippines in the coming months.